WineTown is back in Florence for the third edition of one of the most important event about Italian quality wine. September 21st and 22nd are the save-the-date days you cannot miss if you want to taste the great wines the major tuscan producers will present at WineTown 2012.
the chef-exhibition as well as for the chocolate tasting. WineTown 2012 is based in the Florence historical centre, and hosted inside the most famous ancient palaces and cloisters of the city. Such location like Palazzo Pitti, Palazzo Vecchio, Bargello and Palazzo Antinori will open their doors to both tourists and Florentine citizens for free. Music, theatre rehearsal, buskers show and a lot of different performances will take place in the streets and ancient palaces of Florence to recreate an atmosphere that will remind visitors of the Florentine Renaissance Golden-Age. 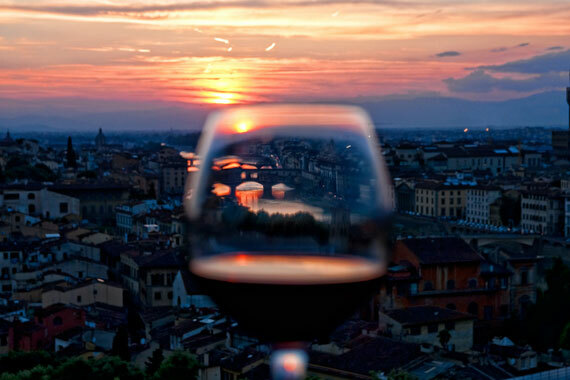 Best wine, typical food, magnificent palaces and many kinds of show are great reasons to be in Florence for WineTown 2012. Specifically-for-the-kid events are scheduled to permit families with children being part of the feast. Wine-tasting requires purchasing “Wine card” at €15. The card top-ups are for only 10€. You can buy Wine Card directly at the exhibitors-stands or in the Conad supermarket shops for a reduced price (€13). Discover all details about Florence Wine Town 2012 in the website: www.winetown.it and follow the event also on Facebook.